When in Venice, it is mandatory (or I highly suggest) to walk down Abbot Kinney Blvd. Only a few blocks from the Venice Beach Boardwalk, it’s a street filled with boutiques, restaurants, and bars. It’s honestly a very cool and hip place to see-oh, and Blue Star Donuts is there! I’m a huge fan of doughnuts and crave them constantly, so I was very excited when Blue Star Donuts opened up in our neighborhood last year. 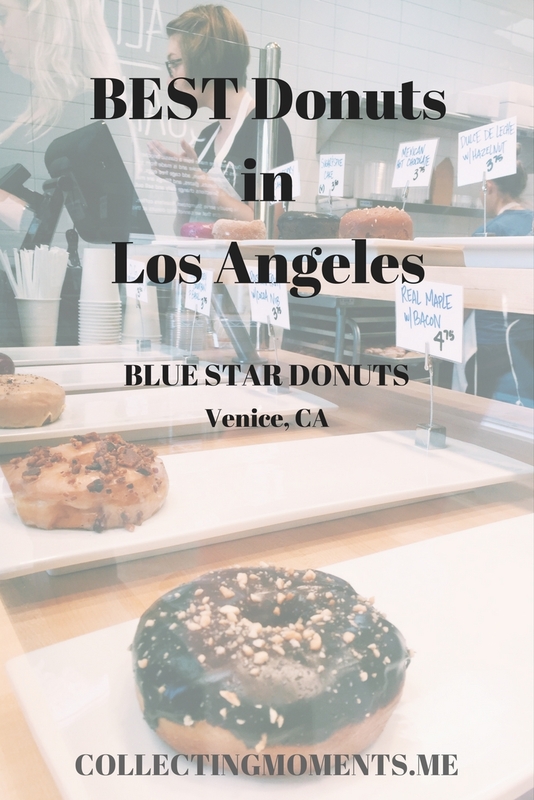 Blue Star is originally from Portland, Oregon and has become increasingly popular over the past few years, opening more locations on the West Coast and in Japan. What makes their doughnuts so delicious is their brioche dough recipe and amazing gourmet flavors such as Mexican hot chocolate, Crème Brûlée with a shot of Cointreau, and Pineapple Pistachio Piña Colada to name a few. I honestly love their doughnuts and would recommend them to anyone! Their flavors change constantly, which makes it fun to try different ones each time you visit. They make their donuts fresh each day and are open from 7am-8pm. I like going early in the morning to snag the FRESHEST doughnuts and enjoy them with a cup of coffee. There is no sitting area; it’s a very casual place, so it’s best to order TO-GO and enjoy them back home, or eat them while you do some shopping on Abbot. D0-NUT miss out on trying them!